1. 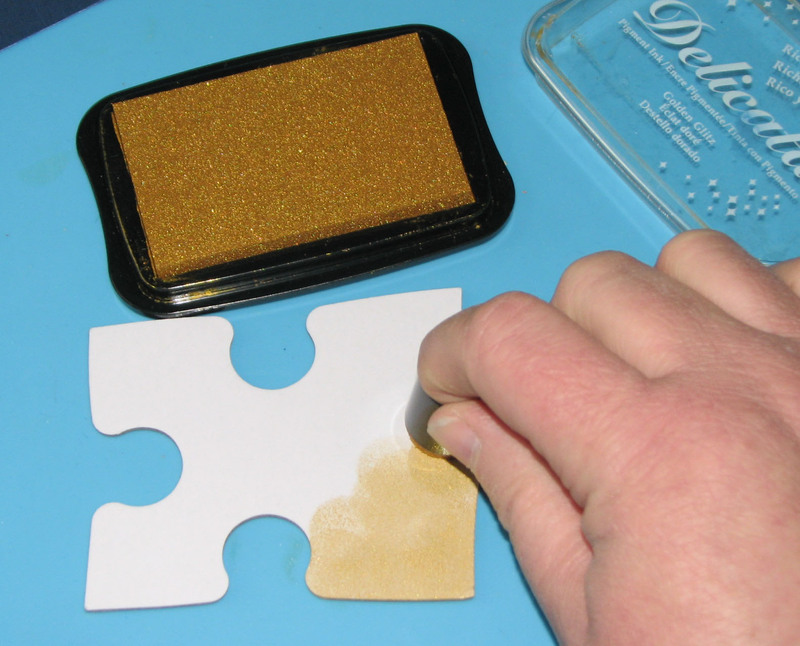 Use a Sponge Dauber to apply Delicata Golden Glitz to all of the men's place cards; use a heat tool to set the ink. 2. Apply Blue Hawaii StazOn Studio Glaze using an Ink Blusher onto each puzzle piece for female guests. 3. 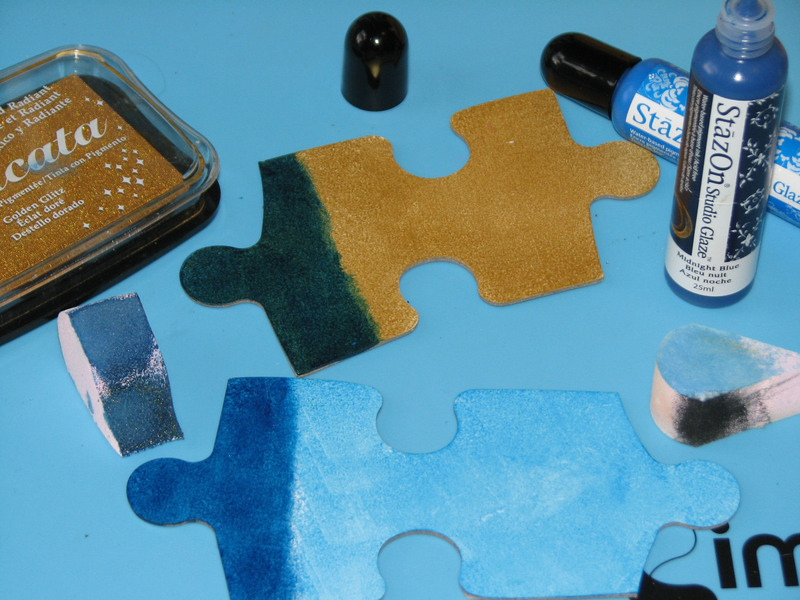 Once the ink and Studio Glaze has dried, apply Midnight Blue StazOn Studio Glaze with an Ink Blusher to the left quarter of each puzzle piece and let dry. 4. 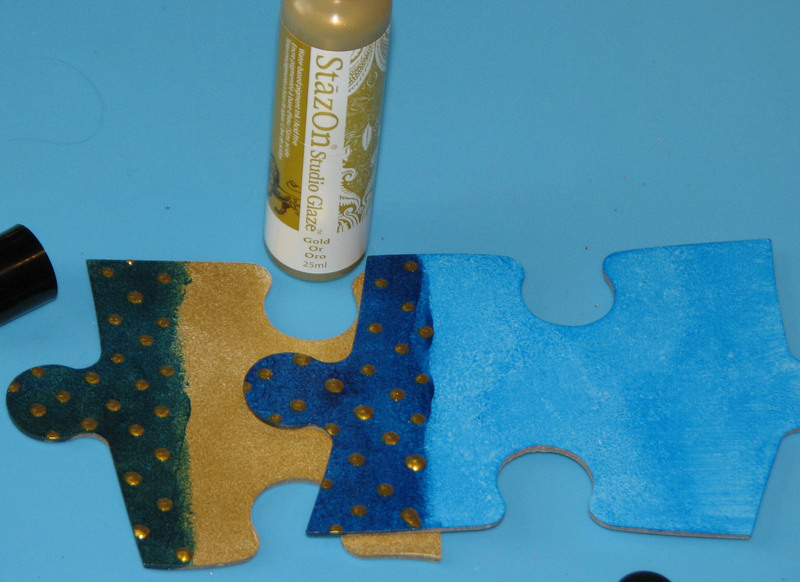 Add gold polka dots to the Midnight Blue area on each puzzle piece using Gold StazOn Studio Glaze. 5. Print each guests name on a piece of cardstock; trim and mount on dark blue cardstock. 6. 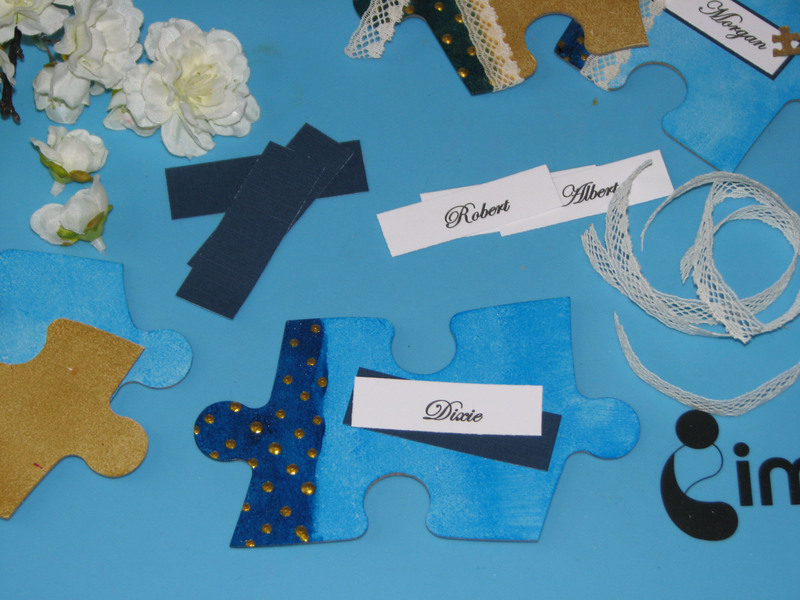 Finish each place card by adding vintage lace, silk apple blossom and the matted guest names.